InshaAllah always a reminder for myself in this holy month of Rajab Darul ‘ajab that Subhaana man huwa al Khaliq anNoor [From 12 Monthly Veils] and from Surat al-Munafiqoon. All of these realities, we see how they open in this month. Allah (Azza wa Jal) wanted certain groups to expose themselves, expose the reality of who they are and Allah exposed them. It means that cleanliness and purification that Allah (Azza wa Jal) wants, it will reveal itself through Siffat al Jabbar. When Allah (Azza wa Jal) wants [something], it will occur; what Allah (Azza wa Jal) wants it will prevail. In this holy month of khalwah and seclusion, a reminder for ourself, that for Naqshbandiya the first set of seclusions, that if the order of Prophet (sallallahu alayhi wa sallam) comes to Awliyaullah to Mawlana Shaykh. That the first seclusion and the understanding of that first seclusion is that Naqshbandiya is from the reality of the soul in Divinely Presence and that reality moves (down) back to their human hijaab. For many [other] Tariqas the journey is from dunya towards the Heavens. And they begin the process of unveiling from the dunya station and begin to unveil the student towards their movement towards the Divine Presence. And that process has lost a lot of students because as soon as they have an unveiling, and they are not yet perfected, then they will be lost. They will be distracted by many different realities that are around them, most of which would be the jinn and the jinn world. They will be distracted by them thinking they can communicate with them, use them and work with them. Naqshbandiya til ‘Aliya is a gift from Prophet (sallallahu alayhi wa sallam) to Sultanul Awliya and all the Sultanul Awliyas; that their reality is that as soon as that student sits in our association for five minutes, they grant their arwah – which is already in the Divinely Presence – to move into the reality of these Sultanul ‘Arifeen and Sultanul Awliyas. 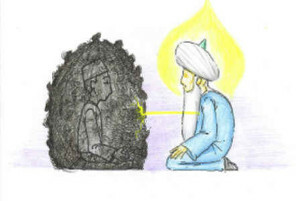 Means that as soon as a student sits on the carpet in the associations of Naqshbandiya til ‘Aliya, their soul that is always in that Divinely Presence is allowed to enter into their presence and their stations and maqaams. Whatever maqaam(station) dress Sultanul Awliya Mawlana Shaykh Muhammad Nazim alHaqqani and Sultanul Awliya Mawlana Shaykh AbdAllah alFa’iz adDaghestani. 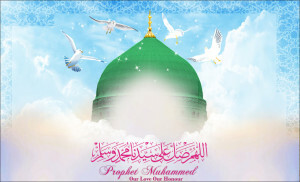 They have Maqaam asSiddiq they have the truthful stations and realities in which Allah (Azza wa Jal) placed their souls. It is a grant from Prophet (sallallahu alayhi wa sallam) for Naqshbandiya til ‘Aliya. And to understand the process is that immediately that soul will be invited into their presence. It will be invited into their Diwan and will be sitting under their tarbiya, to be dressed from their soul to their soul, and depositing their secrets and all their realities. It means in five minutes, you inherit that maqaam (station). And that is the greatness that Prophet (sallallahu alayhi wa sallam) gave to Naqshbandiya til ‘Aliya. The understanding of the first khalwah(seclusion), if that comes in, and in the month of khalwah you see that it is going to be all the time. That when we understand the journey of the khalwah is from that [soul] reality, they are going to teach us how to move towards our hijaab al bashariya, the veil of our humanity. That is what is important for Naqshbandiya til ’Aliya. It is that you move from your Paradise -who knows himself will know his nafs, who knows his nafs will know his lordship. It means everything that governs you is what they want us to go through in that seclusion. It means that from that reality they begin to dig, dig, dig, to the veil of our humanity which is the thickest veil upon our being. If that veil is pierced through all the cleansing and through all the purification, then the complete and kaamil perfections are lifted (up). Because all of the Paradise realities are already coming down, and then working on the hardest, which is the wild and bad characteristics becomes the whole way of Tariqa, the whole way of reality. Whether that opens within a khalwah or it begins to be given to us slowly, slowly in a dose that we can absorb and tolerate. And Mawlana Shaykh would say, “Monkey in, monkey out,” as if Mawlana Shaykh didn’t understand. It means if you are not going to take a process of tafakkur and contemplation, then what are you going to do in the khalwah? The khalwah is to know yourself. The inner reality and the zikr they give you to recite is going to give you the energy and the power to go within yourself. To close all the senses and go within the self and open up the soul’s senses; and begin to sense the heart, and begin to become latif, subtle from the zikrs. You become very subtle and begin to experience your energies. It becomes like an ‘azaab of the qabr (punishment of the grave). But you don’t want that ‘azaab in the qabr and the first khalwah is like the ‘azaab of the qabr. That you are in the room, you will be given a zikr to do. As you are doing the zikr and make your contemplation, you are not going to see the Heavens but you are going to see your demons. They begin to teach and Allah (Azza wa Jal) wants you to know that everything you did, everything you saw, everything you heard, everything you involved yourself with; it is an energy and it was burnt onto your hard disc and you are taking that disc with you into the grave. That is why these technologies, Allah wants us to know them, that before you had a CD and you were amazed that they could put so much on a CD. Now they have chips that are unimaginable on how much it can capture. Allah (Azza wa Jal) is saying I made the better one, I made the best chip. 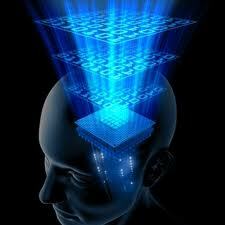 Your brain will capture everything you see, you hear, you do and speak, everything will have an energy. As soon as the khalwah begins it is as if Allah (Azza wa Jal) gave permission that you are in a qabr. That through your discipline you are not speaking to anyone, you are on a restricted diet, and you begin your zikr and practises. As soon as you make tafakkur and begin to ask to be in the company of pious people, to be with the guides and to be with the shaykhs, then they begin to release that: let us show you what you brought into this qabr. Like an example of a child that goes all over the backyard and picks up all the spiders, the worms and all these things and they get into the car close the window and shut the door. It is not Allah (Azza wa Jal) punishing you but what that child brought into that car he is now going to experience it. That all the spiders, the worms, all these bad things that are inside and around you will begin to show their manifestation of their energy. As soon as they sit and do their zikr and the awraads they have been given, immediately these energies will begin to manifest themselves. Imagine that a room filled with spiders from the negative energy that you brought into the room through your existence and through your character. Allah will make the whole room and this is by permission of Allah (Azza wa Jal), that these energies will have a permission to manifest themselves. They manifest themselves as spiders and you are their source of food and they come all over you and manifest all over you, they begin to bite you. There is no permission for them to pierce or rip the skin. They are merely able with their energy to use your mind against yourself. Because when you mind thinks it saw something on your hand, it immediately can trigger a sensor to make you feel like you have just been bitten but there is no permission to pierce the skin. It means that everything on your uncontrolled mind and everything from your bad characteristics will manifest themselves. So without the training of tafakkur and contemplation, that you are in training all the time that I am making my contemplation, I am making my zikr, keeping my madad (support), keeping my practice of my shaykh always with me, he is always with me. If that is not solid, there is no way to survive that attack if it begins into that khalwah. 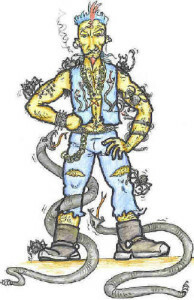 When these snakes begin to come, when the spiders begin to come or the rats begin to come, because every level of the characteristic will have a manifestation. Even the wasps, think of every type of wild animal that begins to manifest. One day you go and it is all snakes and these snakes then begin to move because this is an unveiling you will sense all of them all around you. And your whole practise is to keep yourself in tasleem and submit, keep your madad and keep your connection and make your zikr. Then these things begin to enter into the orifice of your mouth, your nose, your ears, all your body parts; you feel them entering into your body. And you keep yourself in istiqaam, you keep firm and do your zikr, do your zikr. And through your zikr and through your connection to burn through those characteristics. Then from the smaller creatures they begin to manifest to the bigger creatures. Where they describe the dog is like anger. Allah (Azza wa Jal) wants to show you, yes, you know that characteristic of anger in the qabr (grave) they are going to be like wild dogs that are going to eat you. In the qabr it is 70,000 times more difficult than what we are describing because there is no way out. There is not time to open your eyes and breathe and to come out of that difficulty. As soon as you are in the qabr that is it, the nafs is gone and you feel it 100%. That becomes 70,000 times more difficult than what we are describing. Until there is a point where they begin to train you that keep your connection, and now through your firmness and belief; that your belief is firm enough to begin to change that energy that is coming upon you. 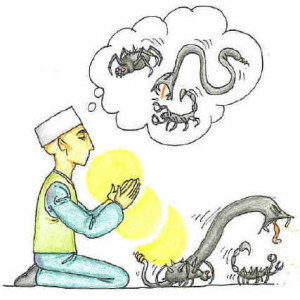 As soon as they fill up with dogs and snakes and rats, through your zikr and through what you have been trained, you begin to change and control your mind that no this energy is not dogs. And you begin to tell your heart, “They are not dogs, they are not dogs, these energies are angels.” And Allah (Azza wa Jal) begins to give you control over your mind. That your heart takes control and begins to convert that energy and bring it towards Haqayiq and towards purification. It means that the first levels of Tariqa are moving through these hijaabs (veils). Whether that opens with permission for khalwah, then that student has to be trained on how to enter into the khalwah, their life has to be based on their tafakkur, on their meditation, on their muraqabah. And how to know wa kunoo ma as-sadiqeen, that Allah’s words are eternal. Allah (Azza wa Jal) knows the future, knows everything. So when He is saying: keep the company of these Saadiq’s and these Siddiq’s, keep the company of these pious ones, means at every moment you must be in their company. Not just that you sat with them for five minutes and went home, but at every moment you are in that tafakkur, in every moment you are in that reality. Where Allah (as) reminds that these are people who died before death. Allah (Azza wa Jal) says don’t deem them as dead in their grave. If somebody reached mawt qablal mawt (dead before dying), then Prophet (sallallahu alayhi wa sallam) says, “They are not dead in their grave, they are alive.” It means Ahlul Hayat (people of the Ever living), their souls are everywhere. 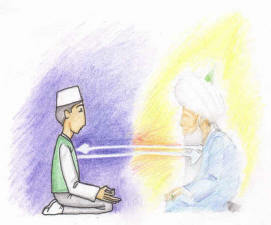 Wherever Allah (Azza wa Jal) wants their soul to be, this is the duality of light. They think our prime minister was talking about quantum computing and he was impressing people, the duality and reality of light. Anyone with basic physics in school right now should know that. That if you see somebody in particle and solid they have two forms; they (also) have a form which is waves and that wave is moving. 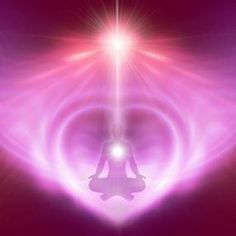 If you train yourself to break the physicality and move through your soul, your soul is light and your light will see the light and the light is all waves. So these waves must be moving in infinite directions, but you only see the particle. 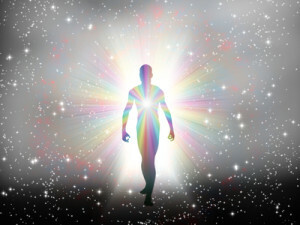 And the people of particles they say,” No, there is only one person and he is in one place.” No, you are incorrect, but the reality of light is everywhere. If you see with light you will see the world of light. So, it means all of that training has to be accomplished first. You have to be from the people of the world of light. And that your connection with the force, with this Qudra, this energy, that you are in that world of light; you are connected with that world of light. What they want from you from that world of light is to come down and conquer the world of form. Means keep their company. That is why we say the best movie for this was Star Wars. That is the khalwah. Allah (Azza wa Jal) says that world of light encompasses everything. It is the source of all power. If your hand is in that hand, Allah (Azza wa Jal) is giving His subhaan, “Glory be to the hand that is connected to the Malakoot, it is kulli shayy” it is all encompassing. Not the world of form, it is the dirtiest and the lowest. 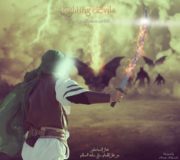 “Nawaytul arbaeen, nawaytul itikaf, nuwaytul khalwa, nuwaytul uzla, nuwaytul riyada, nuwaytus sulook wal siyam, lillahi ta’ala fi hadhal masjid. It means that in every moment we are in that intention so then they spread that khalwah in Tariqa to everyday of our life. Every time you are fighting a characteristic is a moment of that khalwah. Allah (Azza wa Jal) is asking and choosing that this test is coming to you of your bad character that you are not accepting, do you want to fight it now or do you want the grave to be your reservation? I will reserve you a table there? You say, “No, no yaa Rabbi, I want the table now.” Then you fight through these characteristics means a few dogs of anger died, a few cockroaches died, a few rats died. If you keep fighting through the characteristics, those animals begin to die because the haiwaan (Animal). We are a talking animal now, we are not from insaan. Insaan (human being) are like angelic beings. We are just talking baboons. That is the Planet of the Apes, another good movie to watch. Allah wants us to see that, yes see, you used to be insaan, noble beautiful creatures, now you are the people of the zoo. Have you been to the zoo and seen what the Apes do when you go to look at them? They pick up their poop and throw it at you. Allah is showing this is all you are now. That is not insaan. Insaan is “`alamal qur’an khalaqal insaan.” Insan (human being) is the one whom Allah (Azza wa Jal) taught the Holy Qur’an. These characteristics of wild, crazy, dirty people, is not what Allah (Azza wa Jal) intended. It means everyday we are in a khalwah and in every moment Allah (Azza wa Jal) is asking: do you want to fight through your characteristic? So that this imtihaan, and test, comes into your life, pass your test. A couple of rats will go, a couple of dogs will go, a couple of cockroaches will go and the worms will go. The worms were the most difficult because they keep coming everywhere, all over the place. Everything you eat, everything you drink, moving through your eyelids and your eyeballs and through every part of your body, you feel these worms. And with your zikr and your contemplation Allah (Azza wa Jal) says: if you don’t fight these worms now they will manifest in the grave and they will eat your body and you will feel every bite that they are eating from your flesh. You are (from) wadud, you are the people of love, if you don’t have the ‘waw’ and the love of wadood, you become a dood. So what are people calling each other now? Dude. Dood in Arabic is a worm. Why Allah put that on the program of this earth? So nasty people calling each other, “hey worm, hey worm!” Why? because that is what is going to be eating them. And those are the characteristics that Allah (Azza wa Jal) asks to burn them now through your zikr and your good characteristics. That is why it is not like a regular association. Everything partaking here, every zikr, every association, every light that is coming in every mehfil and zikr is burning those characteristics, to lessen the severity of your ‘azaab in the grave. It is a big ni’mat (Divine‘s favour). The turuq and Ahl al-Haqayiq are a big gift from Allah (Azza wa Jal). That if people knew what they are bringing into the grave and the difficulty that grave is going to have and everyone is going to pass through that. Nobody says, “I have a ticket out of the grave.” Go to the emergency room and see all the people screaming. The qabr is a big emergency room. What Allah (Azza wa Jal) wants is good health for us and to escape that difficulty. Go through the training now. Every zikr that you sit through, the lights that are coming from the zikr, Allah (Azza wa Jal) is cleansing. Allah (Azza wa Jal) is sending special angels of zikr that come and cleanse all that wildness. The mehfil and salawaat on Prophet (sallallahu alayhi wa sallam) brings the nazar of Prophet (sallallahu alayhi wa sallam), like the sunshine. Anything that approaches the sun is immediately burned. When you begin to make a mehfil and salawaat on Prophet (sallallahu alayhi wa sallam), the nazar of Prophet (sallallahu alayhi wa sallam) begins to burn all the bad characteristics. You burn, your burn, you burn, and through your practices you begin to make tafakkur and contemplation so that all these bad characteristics can be destroyed. That we can reach the reality once you burn through all these bad characteristics, then they begin to show the realities and how to connect. What Allah (Azza wa Jal) wants to show the servant at that time then Allah (azza wa Jal) shows them. 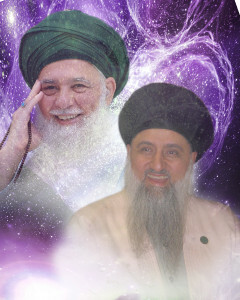 And how to connect to that reality, how to connect to Prophet (sallallahu alayhi wa sallam) and how to connect with the Divinely Presence. Do You want to Pass it Now or Reserve it for the Grave? 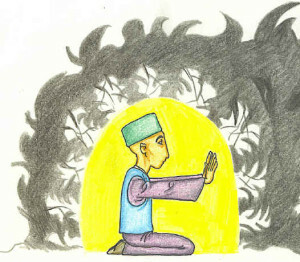 We pray in this month we understand that we are by virtue of the turuq, we are all in seclusion all the time. That every test that comes to us, you are making a conscious choice; that do you want to pass the test, you want to get rid of all these bad characteristics or then you have a reserved table in the qabr. We pray that Allah (Azza wa Jal) gets rid of them here and that make our qabr to be a sweet place, a beautiful place. They even take you to your position in jahannum. Everyone has a reserved seat in jahannum and it is your duty to take yourself out of that seat of jahannam. That (safety) the secret by Awliyaullah is through darood shareef. That they show that place in jahannum, especially in Ramadan, a`tiqni minan-naar, they give them their training and seclusions that constantly they are in seclusion. That in the days of Ramadan a`tiqni min an-naar is real for them. Allah (Azza wa Jal) shows this is your seat in jahannum. If you think you are coming and giving your `amal to Me and I am going to judge your `amal, you have a reserved ticket in Hell. That is why we are not coming through `amal (action), we are coming through Allah (Azza wa Jal’s) Rahma, Mercy, that His Rahma be upon us. And they show the only way out of that jahannum, the only way to stop that fire is darood shareef, because as soon as you praise upon Prophet (sallallahu alayhi wa sallam), the ruhaniyat of Prophet (sallallahu alayhi wa sallam) enters into that mushkilat (difficulty) and immediately stops everything. Allah (Azza wa Jal) won’t bring ‘azaab upon the light of Sayyidina Muhammad (sallallahu alayhi wa sallam)! We pray that Allah (Azza wa Jal) open our hearts to understand and that we pass through the test, and to be dressed by the love of Allah (Azza wa Jal), the love of Sayyidina Muhammad (sallallahu alayhi wa sallam) and love of Awliyaullah fis samaawaati wal ardh (Saints that re in heavens and on earth).